A sprawling sweep across nine decades of American history, this star-studded, heart-tugging and ultimately soaring tale filters the civil rights movement, Vietnam and other major events through the prism of a White House butler serving a parade of U.S. presidents. Forest Whitaker is rock-solid as Cecil Gaines, whose improbable trek from Georgia cotton fields to the hallowed hallways of the nation’s highest office is a fictionalized drama loosely based on a real-life story. Screenwriter Danny Strong was inspired after reading a newspaper story about Eugene Allen, a black man who worked for the White House for 34 years before retiring as its head butler in 1986. The movie is officially Lee Daniels’ The Butler because of a licensing conflict with another movie studio, which prohibited its intended title of The Butler. That’s how the director’s name became hitched to it at the last minute. Daniels and Strong take a bit of dramatic license with their story as it barrels along across the years, and the miles. Much of it is to tremendous emotional effect, especially as young Cecil (played by Michael Rainey Jr.) watches the abuse of his mother (singer Mariah Carey) and the murder of his father (David Banner) by a loathsome young plantation squire (Alex Pettyfer), and later becomes trained as an indoor servant by the estate’s matriarch (Vanessa Redgrave). As a teenager, Gaines finds a fancy job at a big-city hotel, then goes to Washington, D.C., for an even fancier job at an even fancier hotel. He marries, starts a family, and ultimately gets cherry-picked for a position on the wait staff for the White House in the late 1950s. There, observing the mantra from his supervisor that “you see nothing, you hear nothing, you only serve,” he begins his long tenure attending the administrations of Presidents Eisenhower (Robin Williams), Kennedy (James Marsden), Johnson (Liev Schreiber), Nixon (John Cusack) and Reagan (Alan Rickman). Perhaps Presidents Ford and Carter were skipped because the movie was already running over two hours long without them. Or maybe there were simply no more actors available because the large cast had already drained Hollywood’s talent pool nearly dry. 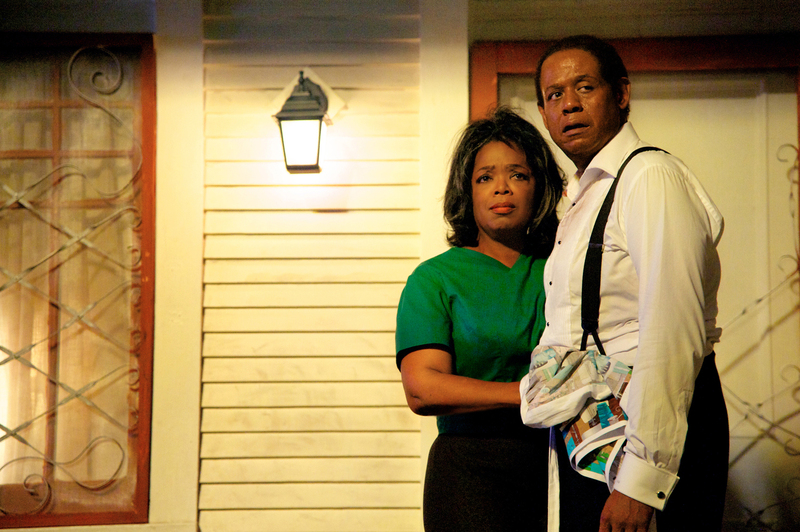 There’s Oprah Winfrey, doing an outstanding, Oscar-baiting turn as Cecil’s wife, loving but neglected as her husband gives his all to his job. Singer Lenny Kravitz and Cuba Gooding Jr. play fellow Oval Office butlers. Terrence Howard is slimy-good as a lecherous next-door-neighbor who tries to take advantage of Mrs. Gaines during Cecil’s long absences away from home. Elijah Kelley (Hairspray, Red Tails) and David Oyelowo (Lincoln, Jack Reacher) are both strong as Cecil’s teenage sons, one drawn to serve his country in Vietnam, the other to more radical courses of action. And hey, look—it’s Jane Fonda as Nancy Reagan! Released to coincide with the 50th anniversary of Dr. Martin Luther King’s iconic “I Have a Dream” speech, the movie stirringly parallels its passionate message about racial harmony with Cecil’s more personal struggles with his own life, job and family. Some of the scenes are wrenching to watch, like the one that cuts back and forth between a dignified formal White House dinner and a drug-store lunch-counter “sit-in” in the South at which Cecil’s son, and the other protesters, are jeered, spat upon, beaten, burned with steaming coffee and then hauled away to jail. The intercut newsreel footage reminds us that the scene the movie depicts, and others like it, really happened. And Cecil’s story, in its dramatized arc of one man’s long, arduous but finally glorious and transformative journey across time, reminds us of just how far America has come in seeing what was once a dream becoming a reality. “God, we’re in the middle of nowhere,” moans teenager Andrea Perron as she and her family move into their new home, a 1700s farmhouse, in remote, upstate Rhode Island. But it’s not so “nowhere” that Andrea, her four younger sisters and her parents are alone there—by any stretch. The Conjuring, director James Wan’s new skin-crawlingly good fright flick about a normal family’s harrowing encounters with the paranormal, is based on incidents that reportedly happened in the early 1970s. It’s also about the real-life husband-and-wife team of New England “demonologists,” Ed and Lorraine Warren, who were brought in to de-haunt the seriously spook-infested property. By the time mom Carolyn Perron (Lily Taylor) seeks out the Warrens after a series of increasingly unnerving episodes in her new home, the film is ramped up into full-blown yikes-fest mode. Hang on. Now, this kind of thing is nothing new, certainly not if you’ve seen any movie that ever tried to spook you with creaky doors, a ball that rolls across the floor by itself, or things that go bump and thump in the night. And TV is crawling with modern-day Warrens, ghost-busters and haunted-house investigators who go into all sorts of spooky places just begging for a brush with the boogyman. But trust me when I tell you—and even warn you—that “The Conjuring” stirs up some seriously scary, supremely creep-ifying mojo. Director James Wan also launched the Saw franchise, the hugely popular series of gruesome horror films known for depictions of people doing all sorts of awful things to themselves to avoid even more awful things happening to them. Thankfully, The Conjuring has none of those bloody, barbaric hallmarks, and instead focuses all its attention on a bounty of solid, stylish, old-school jolts. You don’t realize how terrifying a pair of clapping hands can be until you feel your own skin getting goose bumps when they appear. Rated R not because of language or violence or gore, but simply because it’s just too intensely, profoundly scary for kids, The Conjuring is not the kind of movie to take lightly. Part of what makes it so downright terrifying is knowing that it really happened—perhaps. The dark, troubling shadows of this story linger after the lights in the theater come back on. You, too, may find it hard to shake off the heebee-jeebies of The Conjuring when it’s over. There’s something about this movie that you’ll swear is following you home. You’ve been warned. Disney’s new yarn about a little underdog airplane with big dreams feels at times like the studio just strapped on some wings another movie. That movie would be Cars. In fact, one of the producers is digital-animation guru-exec John Lasseter, who directed both Cars and its sequel, and Toy Story and its sequel, for Pixar. (Disney purchased Pixar in 2006; Lasseter now heads the creative divisions of both merged companies). And Planes even reveals, on a placard, before the opening scene comes into view that we’re in “The World of Cars,” a bustling alt-universe where people don’t exist, but mechanized vehicles have personalities, ambitions, “facial” features, and the voices of Hollywood stars. In this case, we have the spunky, propeller-driven crop duster, Dusty Crophopper (Dane Cook), whose day-to-day job spreading mulch is enlivened by his aspirations to compete in an airplane race around the world. Dusty is prepped for the contest by Skipper (Stacy Keach), a crusty U.S. Navy WWII fighter; Chug, an airstrip fuel truck (Brad Garret); and Dottie (Teri Hatcher), a detail-obsessed forklift. Dusty has a big problem, though: He’s afraid of heights. Bulldog (John Cleese) is a British plane that has trouble keeping the traditional English stiff upper lip when he gets emotional. Julia Louis-Dreyfus provides the voice of a sleek Canadian competitor, Rochelle, a bit of an inside joke for Seinfeld fans. During a segment that recalls a scene from Top Gun, you’ll hear two actors from that ’80s classic, Val Kilmer and Anthony Edwards, as the fighter jets. Dusty runs into trouble when the race’s cocky star flier, Ripslinger (Roger Craig Smith), panicked at the prospect of losing to the rival “farm boy” airplane “built for seed, not speed,” resorts to dirty tricks. There’s just something about “Planes” that never quite, well, takes wing. For all its scenes in the air, so much of it seems to be back on the ground—and the highway. When the airplanes are about to take off to begin their big race, the grandstands are packed with little automobiles, cheering wildly for their propeller-nosed cousins. The storyline of an international marathon race follows the setup of Cars 2. And one recurring character, Dusty’s biggest fan, is a German car that literally morphs into an airplane by sliding a pair of wings onto its hood. Thanks again for the reminder, Mr. Lasseter. Yes, you made Cars and Cars 2. 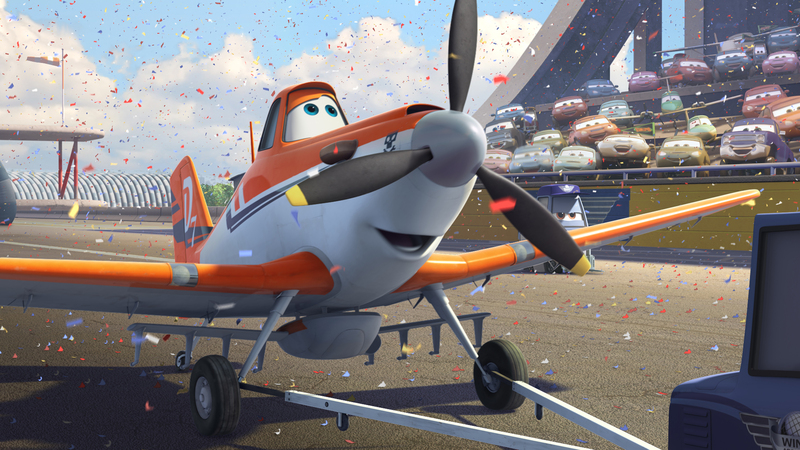 And now you’ve made Planes…by putting some wings onto some cars. We get it. Even more importantly, I suspect you hope the “it” that people who see Planes get are loads of spin-off merchandise: plane-themed toys, trinkets, apparel, and who-knows-what else. Those things will likely be just as important as the box office to the bottom line of this little movie that sputters as it tries to soar above its own been-there, done-that, toy-story roots. In the not-so-distant future, 140 years from now, Earth has become an overpopulated slum teeming with crime and disease, and those who can afford to flee have fled—to a pristine orbiting paradise called Elysium, a humongous, high-in-the-sky space station with manicured suburban lawns, gleaming mansions, and the technology to instantly cure any injury or disease. When Max (Matt Damon), one of the Earth-bound grubs who makes his way each morning through the rubble and rabble of Los Angeles to his factory job churning out the robotics that keep Elysium humming, is exposed to a lethal dose of radiation in an industrial accident, it’s literally his death sentence. 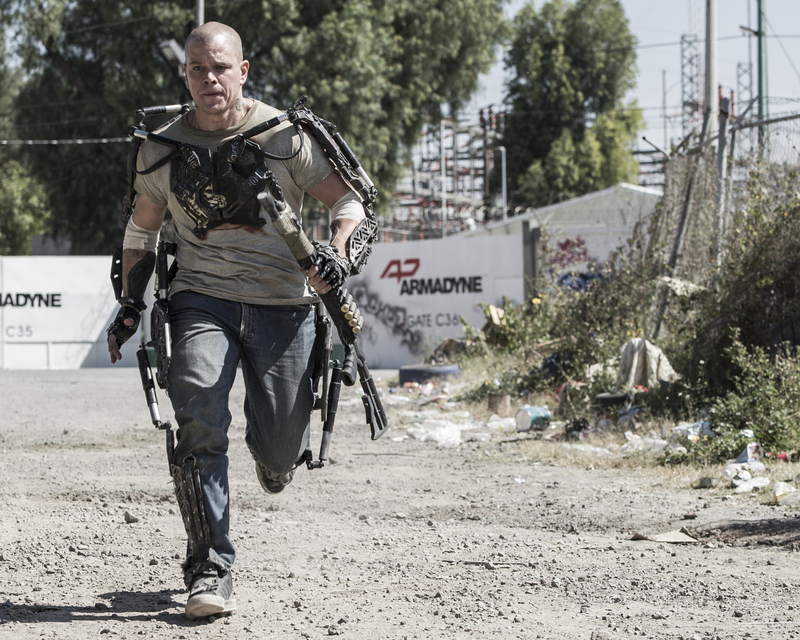 Given five days to live, he knows his only chance is to somehow get to Elysium and one of its heal-anything machines. But trips there are obscenely expensive, and fraught with risk. Elysium’s flinty secretary of defense (Jodie Foster) has been known to order unauthorized incoming shuttles—and their “illegal” immigrant passengers—vaporized as they approach. And anyone who makes it past the space station’s heavenly—and heavily defended—portals is deported immediately back to Earth. Max, however, becomes more than just another Earthling wanting to be made whole again. In exchange for a spot on the shuttle, which he has no way to afford, he makes a deal with the shady operator: He agrees to undertake an extremely dangerous bit of sabotage that involves stealing encrypted data from the brain of a weasel-y Elysium-connected corporate exec, and to the surgical affixing of a high-tech robotic “exo-suit” that gives him the super-strength he’ll need to do the job. Writer-director Neill Blomkamp, whose “District 9” (2009) was a space-alien tale with stark parallels to the rifts in his native South Africa caused by racial segregation, has created another sci-fi parable with charged political and social overtones. It’s impossible to miss the themes of health and medical care only for those who can afford it, a society in which many jobs have been taken over by compassionless robots, and a “utopia” that repels undesirables seeking a better life. Alice Braga plays one of Max’s childhood friends, Frey, now grown up with a child of her own, a young daughter dying of leukemia. Sharlto Copley, who starred as the hero of “District 9,” sinks his teeth into the role of a vicious mercenary with an arsenal of dirty tricks, assigned to keep Max from following through on his mission, a task that’s soon shown to have implications far beyond simply curing his own radiation poisoning. “Elysium” is an impressive bit of moviemaking, especially as a one-man show for its writer-director, who’s done all by himself what other movies, especially movies of this scale, sometimes require teams of collaborators to manage. This is his vision, his story, his execution, and Blomkamp has delivered a picture that easily stands as one of the best sci-fi flicks of the summer, a ripping, gripping fable about two worlds in a dreary future that, unsettlingly, doesn’t seem as far out of synch with today, or as far away, as we might like to think. 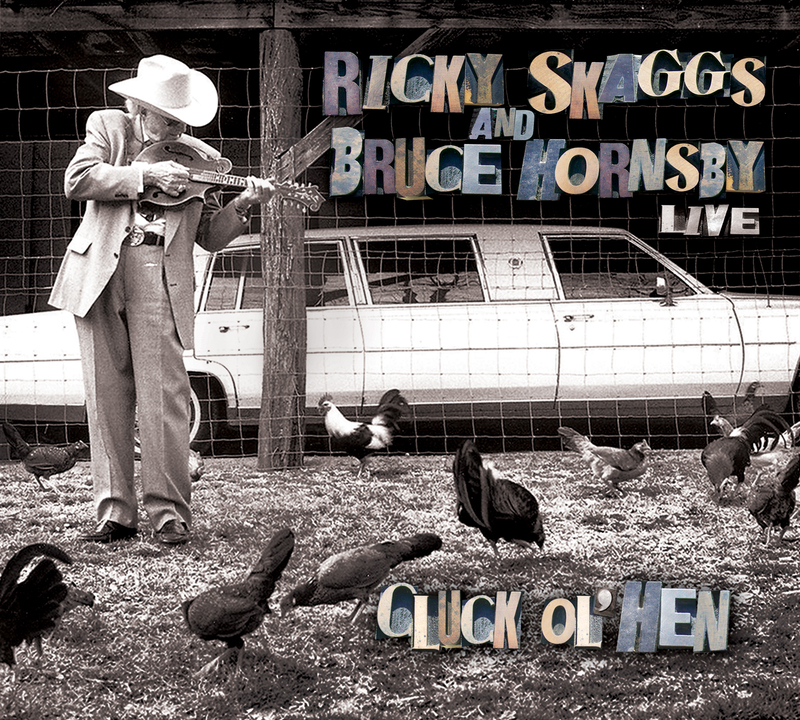 Skaggs, the award-winning country-bluegrass picker, and Hornsby, the pop singing-and-songwriting pianist of “The Way It Is,” “Mandolin Rain” and “Every Little Kiss” fame, were touring together when they got the idea to record some of the tunes they tossed around every night on stage. This lively collection of live recordings is an exhilarating blend of their two distinctive styles on a 12-song stroll through a shared songbook of Bill Monroe classics, mountain music gems, instrumental improvisation and high-lonesome harmonies. 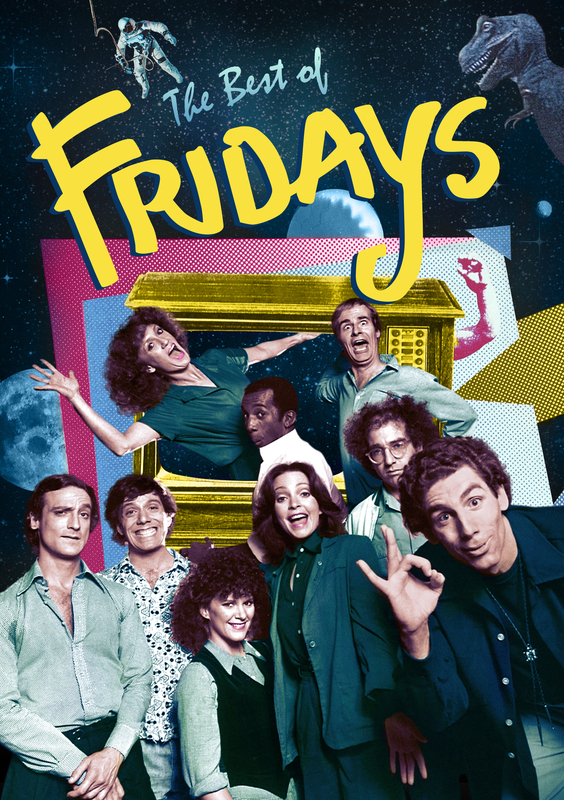 Launched as ABC’s weekend counterpart to NBC’s runaway hit Saturday Night Live, this 1980-82 series proved that the weekend was big enough—at least for a while—for two edgy sketch-comedy variety shows. 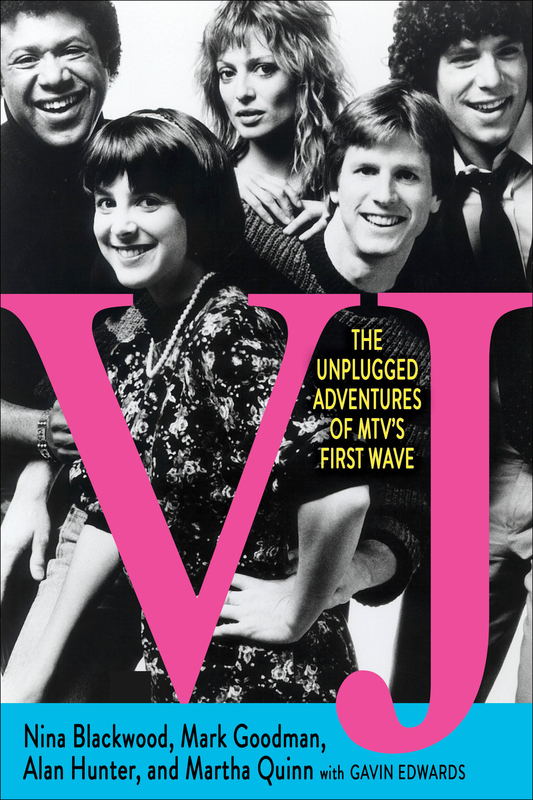 Though relative short-lived, Fridays featured a parade of hip musical acts like Devo, The Cars and The Clash, and kept audiences laughing into the wee hours with the antics of a talented ensemble cast that included Larry David and Michael Richards, who’d both later shine as the co-creator and one of the stars of Seinfeld. 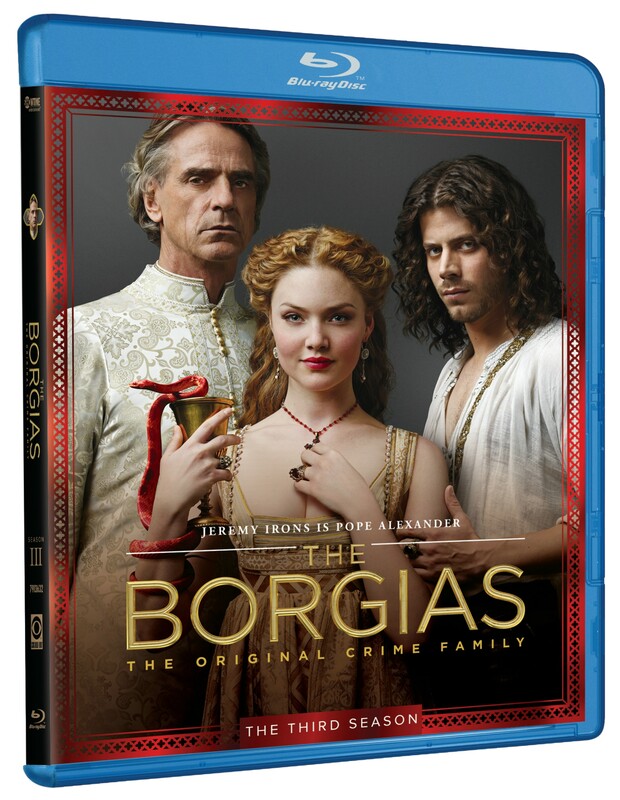 This bonus-packed collection includes 16 full episodes, a cast and writers’ reunion, and other goodies. The Lowdown on the Early A.M. 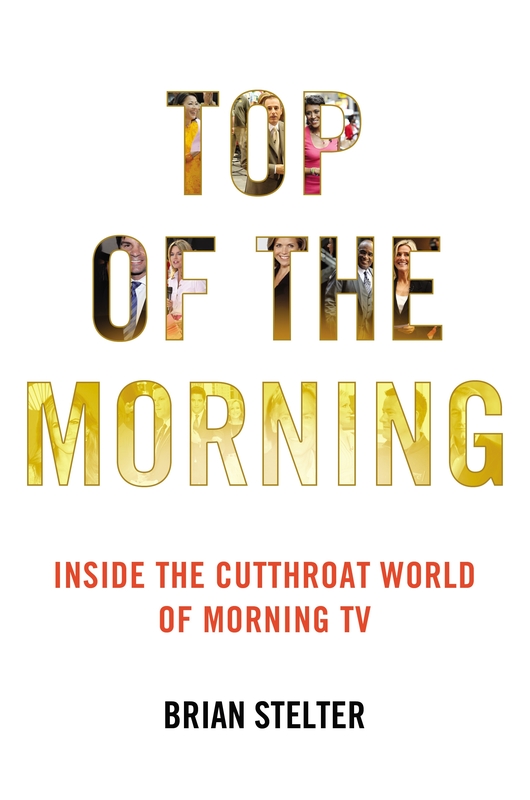 Your wake-up coffee will taste a bit zestier if you sip it while reading this riveting, revealing rundown of the high-stakes world of morning television, which digs into the vicious rivalry between Good Morning America and Today, the behind-the-scenes, career-shuffling upheavals at the competing networks, and an examination of the surreal connection between audiences and the “news personalities” they invite into their homes to start every weekday morning. 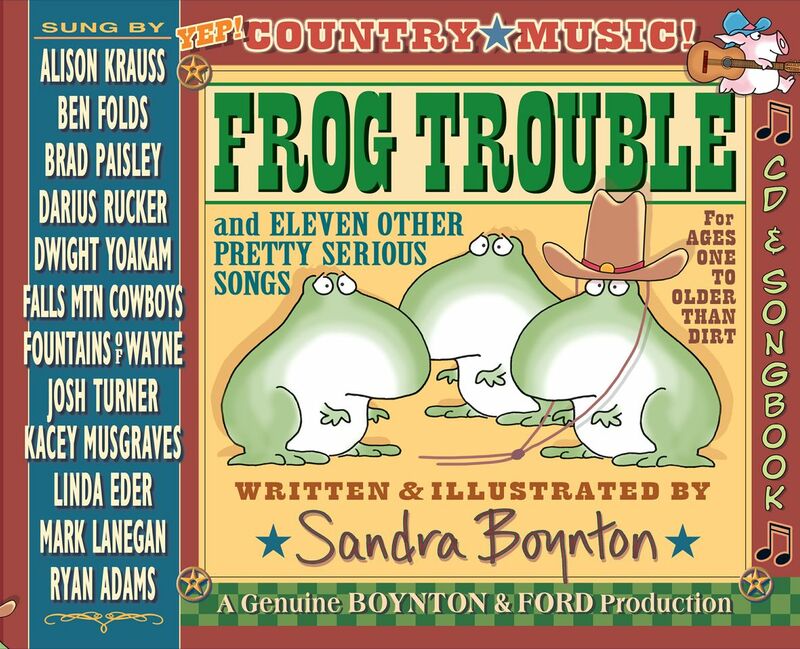 Boynton takes a break from her signature line of best-selling greeting cards, children’s book and plush toys to go honky-tonkin’ with this combo storybook and CD of songs (all of which she wrote or co-wrote) about flying pigs, junkyard dogs, troublesome frogs, loveable trucks, broken hearts, beautiful babies and other twang-worthy topics. With an all-star assist from country music’s Brad Paisley, Allison Krauss, Darius Rucker, Dwight Yoakum, Kacey Musgraves and others, music and lyrics for each tune, and info and photos on each of the artists who contributed, it’ll get both kids and grownups hoppin’ and boppin’.